Dreneigh Cobb is a native of Gainesvile, Florida where she now resides with her husband and family. She is A mighty woman of God who demonstrates Gods love and compassion to others. Her commitment to helping others is evident through her lifestyle of service. 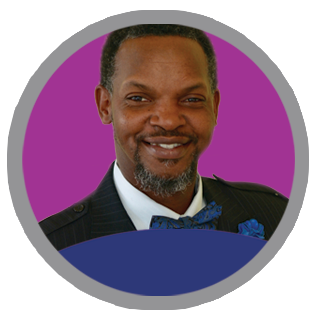 Dreneigh Cobb was ordained as a minister to preach the Gospel in 2008 and later affirmed as a Prophet in 2014 under the leadership of Apostle and Pastor Minnie Hayes at the Potters House Kingdom Ministries, Chiefland, Florida. She is the founder of Dreneigh Cobb Ministries where her full time mission is to empower and awaken hearts to the power of prayer, intercession and the light of the Gospel, not just in the church but the market place as well. 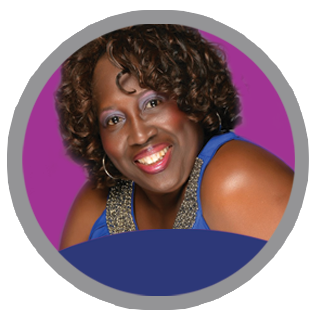 She is also the founder of Kingdom Equipping Prayer Training Center Inc., here in Gainesville, which is a non profit organization, where she train and equip intercessors to partner with God to see His kingdom manifest in the earth through intercession. Dreneigh is also a licensed Skincare Specialist by trade, entrepreneur, mentor and author of Morning Dew 21 Day Prayer devotional and My Prayer His Answer Prayer Journal. Her love for God’s people is abundant and her desire is to be that vessel of honor fit for the masters use to manifest His light that those who are in darkness may see the light of life and live. Dr. Myrtle Fields Newbold is a mighty, chosen vessel of God who flows prophetically in the offices of a teacher and evangelist. She also functions highly as an anointed prayer warrior, intercessor and inspirational writer. Dr. Newbold is most known for her love and great compassion. She exhibits extraordinary love for the Lord and people. Her ministerial reach stretches to all ages, genders, races and denominational and societal statuses. Dr. Newbold has successful founded several life-changing ministries and communities outreaches which have bridged gaps, strengthen and empowered. 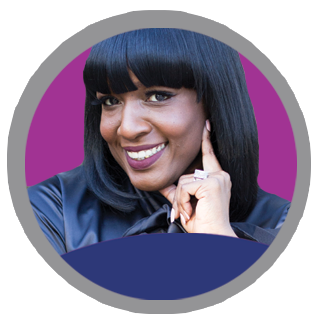 She is the founder of Sister In Prayer, a powerful prayer ministry dedicated to praying for and up lifting the community and beyond. Dr. Newbold is also the founder of Teen Spirit of West Palm Beach, an upscale youth organization whose mission is to strengthen and cultivate teenagers from all walks of life, preparing them to be outstanding women in their community, school and church. From this kingdom initiative Dr. Newbold also instructs others how to start successful teen groups based on standards from the Word of God. Dr. Newbold loves working with youth and young adults. Her illustrative teaching style allows many young people to understand the principals of God with great ease and divine enlightenment. Under the leading of the Lord, Dr. Newbold launched Myrtle Newbold Ministries. The mandate of this ministry is to help women prepare for war in the spirit and help them regain their rightful position in the home, church, and community. To facilitate this mission, Dr. Newbold’s ministry scope includes sponsoring and hosting empowering revivals, conferences and workshops. Dr. Newbold was happily married to Pastor Wilfred C. Newbold. for thirty three years before he transitioned to be with the Lord in 2015. Dr. Newbold has continued the legacy as Senior Pastor of Greater Anointing Deliverance Ministries of West Palm Beach, Florida. Abijah Bertrand was born in New York City on January 25, 1980 to Dina and Jonah Bertrand. He was raised in Miami, Florida and he graduated from Miami Union Academy, a private Christian school in 1998. Upon his graduation, he moved to Gainesville to attend the University of Florida, where he graduated in 2002 and 2004, with a Bachelor’s in Education with a focus on Special Education and then with a Master’s in Education respectively. He later went back to school and graduated in 2016 with an additional Master’s Degree in Educational Leadership, qualifying him to work as a school principal in the future. He has been married to Staci Bertrand for approaching 14 years in June and is the father of four little young boys; Alijah, Ethan, Aaron and Evan. Abijah Bertrand has been an educator for 13 years serving students with disabilities in Alachua County. He utilizes the most creative and caring teaching strategies. He was recognized as a Tom Ringwood Inclusion Teacher of the Year, TV 20 Teacher of the Month, and UF Health’s Annual Black History Month Community Leader award. Most recently, Abijah completed his second visit to Haiti along with other special education teachers to conduct a 2-day teacher conference on teaching children with special needs. 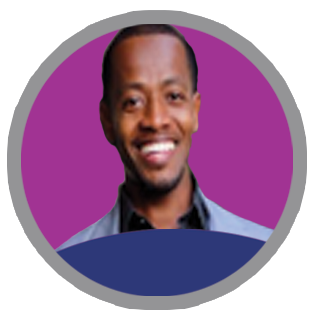 In addition, Abijah Bertrand is an experienced and passionate entrepreneur. He was the co-founder and CEO of Florida Smart Kids Learning Institute, providing supplemental educational services or “free tutoring” for more than 700 elementary students and employing over 100 tutors throughout Alachua County. For his latest project, he is currently working full-time with a non-profit organization that he founded called Life Transition Skills Inc. This organization was created to empower young adults with disabilities to improve their quality of life, independence, and career skills. He has organized a talented team of individuals to implement programs that provide meaningful and purposeful services/activities for semi-independent adults with disabilities. This is his life work and he believes represents one of his callings in life. Abijah is also a very talented musician who often ministers on the saxophone, organ, piano, and bass guitar. He has played at almost every church in some capacity in both Miami and the Gainesville Area. He currently plays for Bethel SDA, Jerusalem COGBF, & Mount Pleasant Methodist Church. At Bethel, he faithfully serves as an Elder. Abijah is an amazing role model and community leader. He is a doer, a go-getter and will always lend a hand. His wife calls him the ultimate “yes” man and most importantly a man of God. Prophetic Maestro George Carter, Jr. is the founder of Younique Productions and has been a musician for over 30 years. He's traveled with the world renowned Grammy & Stellar Award winning group “The Christianaires" and co-produced the album for the 2016 Stellar Nominee group, "The New Christianaires." He has shared the stage with many famous musicians and artists throughout his music career. George now resides in sunny Florida with his beautiful wife; together they have a television ministry and travel the country preaching and teaching the gospel.